These Popsicles Are Literally Made From Raw Sewage. Here's Why. Ah, summer. Hot days, cold treats like ice cream and popsicles to help cool down. Unless, of course, those popsicles are made of polluted water from Taiwan’s sewage system. Trapped in the shell of the popsicles are mosquitoes, plastic wrappers, snails, harmful bacteria, hair, and other disgusting frozen factors. 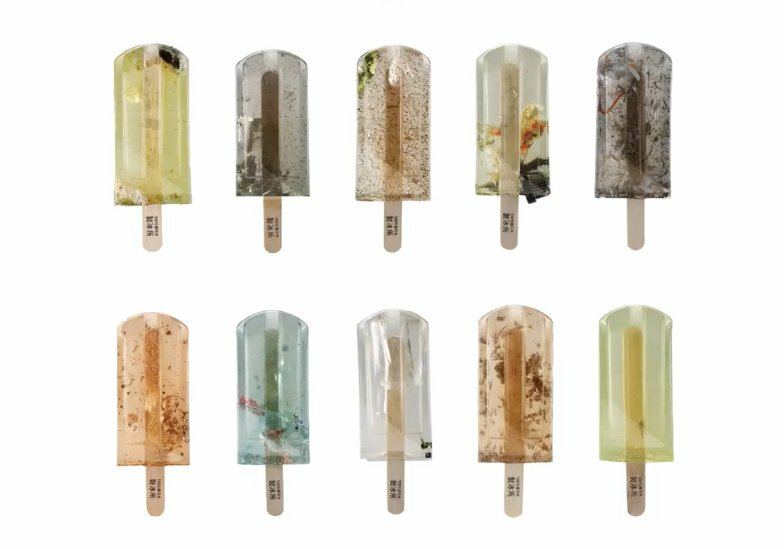 The eerie yet enticing “pollution water popsicles” are part of a project by a group of art students at the National Taiwan University of the Arts. The haunting imitations of summer treats were created by Hung I-chen, Guo Yi-hui, and Cheng Yu-ti for a graduation project, according to the China Post. The pollution pops are made from sewage water samples collected at over 100 locations around the city. In an effort to literally showcase the dirty water, the students froze samples of water then encased the popsicles in polyester resin. From the 100 samples the students collected, they then created 100 popsicles — each reflecting different elements in unclean water. Taiwan has faced a plethora of environmental issues after rapid industrialization with little concern for the environment until the 1990s according to the Brookings Institute, a global policy research organization. Today, the country still faces challenges with pollution in the form of acid rain, and dirty watercourses Brookings reports. 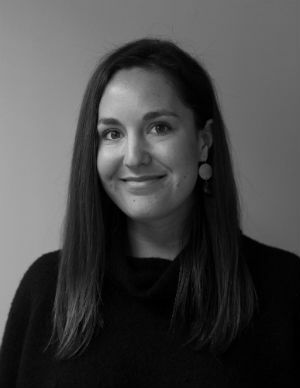 But environmental organizations and activism is on the uptick, the organization also notes. Other scholars cite air pollution as a main source of pollution in Taiwan, but that’s less easy to capture in popsicle form. The popsicles were ranked from dirtiest to cleanest, the students told the China Post. The dirtiest “polluted water popsicle” contains water collected from Keelung Harbor, which was so dirty it coated the water bottle the students used to collect the sample with grease and oil, the students said. The popsicles were then wrapped in brightly colored packaging that advertise the not-so-delicious ingredients. "We hoped to use the contrast and conflict between the pretty popsicle wrapper and the polluted water inside to let the society understand the importance of clean water resources," Guo told the China Post. “We designed wrappers using colorful geometric shapes that represent the polluted particles in the popsicle inside,” Guo said. A video the students posted on Facebook of their “polluted water popsicles” went viral. It has now been viewed 1.7 million times since Friday, May 19. Currently, 783 million around the world people do not have access to clean water, and billions need improved sanitation. Students like these help more people around the planet understand clean water and sanitation are necessary for life, and that not everyone in the world has access to it. “Such pretty popsicles, would you still want to eat them?” Hung I-chen asked Quartz magazine. Our guess is no, but the pollution pops are indeed raising awareness on the need for clean water.